ICANN announced they are honored to announce the recipient of the 2018 Multistakeholder Ethos Award. This year, the community selection panel posthumously recognized a long-time member of the ICANN community: Stéphane Van Gelder. 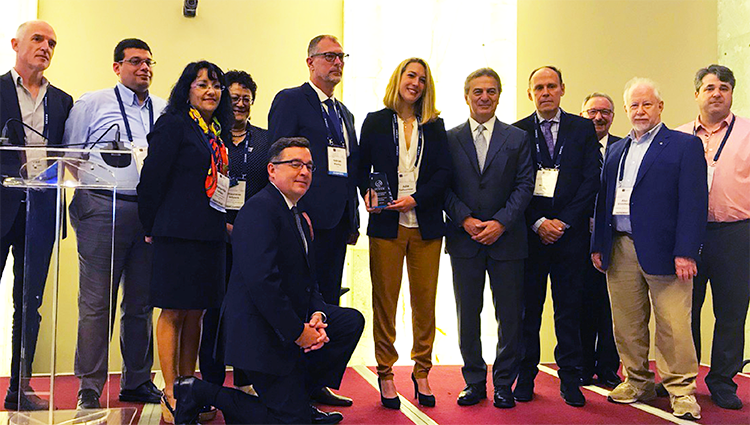 The award was presented today at ICANN62 in Panama City to Stéphane Van Gelder’s wife Julie Talfournier Van Gelder. Completion of an extensive update of the GNSO‘s operating procedures. Completion of the Fast Flux, Post-Expiration Domain Name Recovery and Inter-Registrar Transfer Policy (IRTP) Part B Policy Development Processes (PDPs), and the joint ccNSO–GNSO Internationalized Domain Name Working Group.